Designed for use on the coated fixings used on the coated fixings used on the roof and cladding of modern commercial buildings. 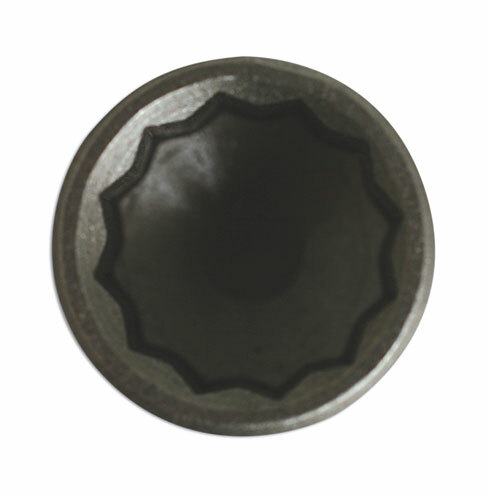 Kamasa’s 11mm bi-hex nut driver is an essential for fixing cladding and roofing bolts on modern commercial buildings. 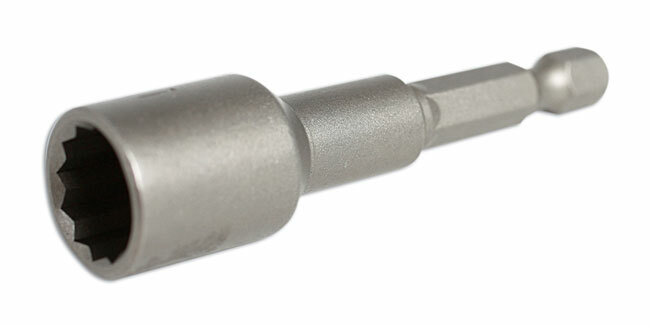 Specially designed for use on coated fixings, the driver fits a standard drill using the Quick-Chuck method. 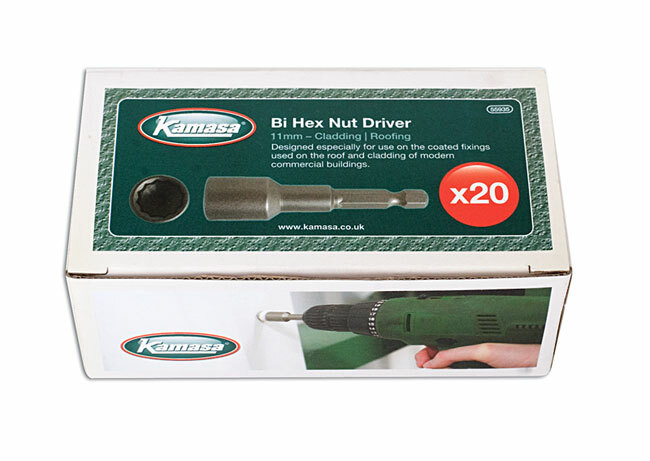 Kamasa bi-hex drivers are available singly (part 55932) at around £2.20 or in boxes of 20 (part 55935) at around £44.00 so a few slipped in the pocket will save the user from descending scaffolding or a trapeze to fetch a replacement. For further information or to obtain high-res images please contact the Marketing Department on 01926 818196 or e-mail marketing@toolconnection.co.uk.